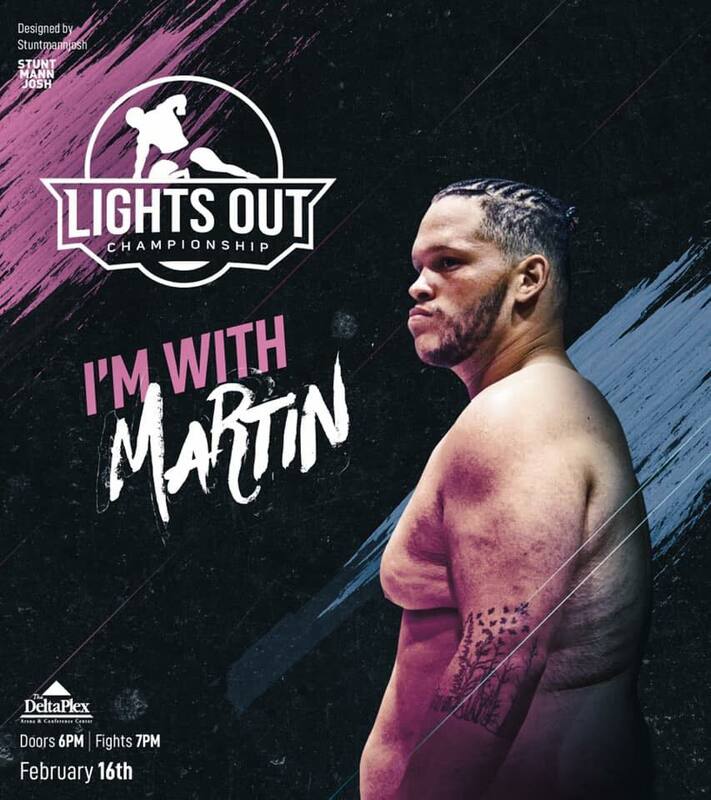 At Lights Out Championship 2, Brett “Big Dog” Martin stepped into the cage to face his toughest challenge yet in Josh Parisian. The fight was not only for the inaugural Lights Out Championship heavyweight title, but also to determine who the best heavyweight in Michigan is. 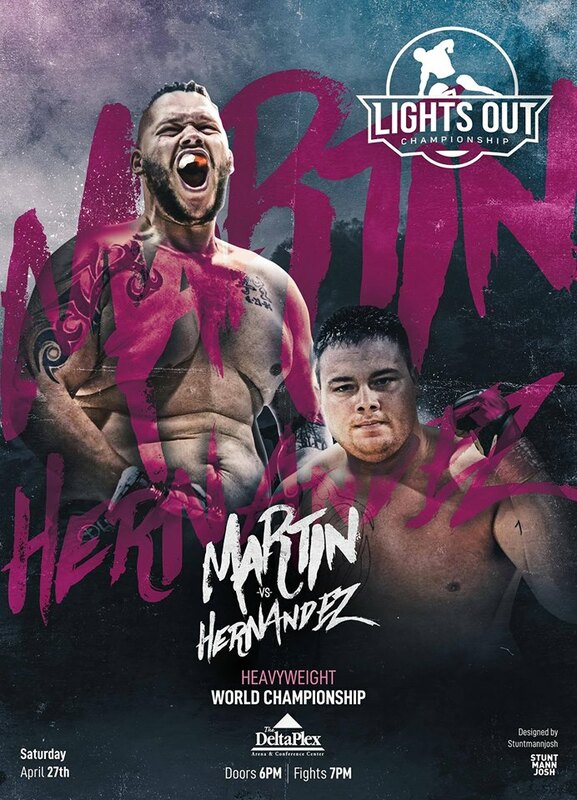 Prior to that fight, Martin bounced back from his first career loss to Leroy Johnson by defeating Ryan Pokryfky to win the Total Warrior Combat heavyweight title and Parisian was making his first appearance back on the regional scene after appearing on Dan White’s Tuesday Night Contender Series and The Ultimate Fighter. The fight was expected to be a battle, but it only took Martin a minute and eight seconds to lay claim to his second professional title, defeating Parisian by kimura. Martin stuck to his game plan, immediately shooting in on Parisian and was able to take the veteran heavyweight down. Parisian went for an armbar and after fighting it off, Martin was able to go for his own submission that one him the fight. That armbar Parisian had on him was quite tight according to Martin. Getting out of the armbar and taking control of the fight has only enhanced Martin’s confidence and is another stepping stone in becoming an elite fighter. Martin has used his notoriety from winning the belts to speak to kids in his area and make a difference in his community. He referees little league football and other sports to help teach kids that their dreams are possible to achieve. The “Big Dog” will continue to chase after his dream on April 27 when he defends his Lights Out Championship title against Jesse Hernandez. This is only a two-month turnaround for Martin, but as he says, there’s not time like the present to get things done. 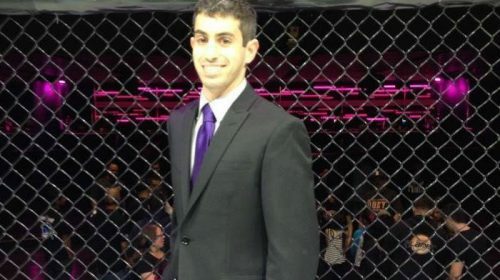 Martin is also a contender for Dana White’s Tuesday Night Contender Series this summer but he isn’t worried about risking a shot at a spot on one of the cards. Instead, he views this as a way to ensure he is ready when they come calling. His upcoming fight will do just that. Hernandez is 7-2 but is coming off of almost a three-year layoff. The fight came to be, because Hernandez is friendly with an opponent who wanted to face Martin but wasn’t able to, so Hernandez jumped at the opportunity according to Martin. Martin believes Frazier had reached out to Lights Out Promoter Matt Frendo and he also posted on social media to get the fight. (Frendo confirmed that Frazier was offered to fight Martin but received an offer from an international promotion so he referred Hernandez for the fight) Martin also said he saw people post on Parisian’s Instagram account that his followers were posting about his looks. Martin recognizes that he doesn’t have the terrorizing looks of a heavyweight like Alistair Overeem, but he wants to prove that it’s not how you look that matters in the fight. He also hopes to turn this into a lesson for the younger kids who look like him and need someone to look up to. For this fight, Martin believes he will be at his best as he will be able to have a more productive camp. His full-time job is for the department of public works for the city of Coopersville doing anything from roadwork to driving trucks in the winter. For this camp, he will have a 7-3 work schedule and able to get more cardio in. And Martin says, he is glad to have someone to help him put on a show for the fans.